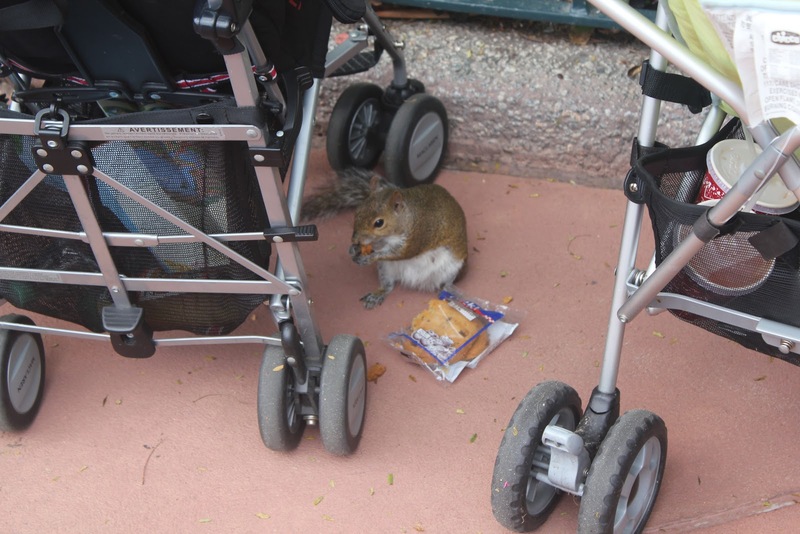 This is a squirrel stealing from strollers. It's almost on topic. Although I do not have children yet, I feel that I am receiving a great education in parenting every time I visit Central Florida’s many attractions. By observing the complete incompetence some parents are displaying, I can learn from their mistakes and avoid the same pitfalls. For your enjoyment, lessons derived from some of the most egregious failures in parenting, starting with Lesson 1. During one of the first truly hot summer days this year, my wife Nicole and I were melting into puddles of lifeless goo. Magic Kingdom was proving a maddening combination of relentless heat and shoving crowds. 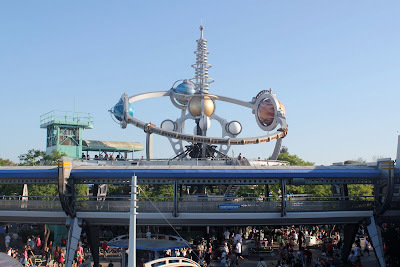 Deciding that we had to do something inside to recover and hide, I suggested we go to Carousel of Progress, as Nicole had never experienced the classic, slightly dated attraction. Air conditioning and a quiet, laid back show seemed like the perfect cure to our worsening condition. Unfortunately, what we received instead was about twenty minutes of stress and annoyance. The theater was relatively empty, but sitting in front was a family of five, with two young children and one toddler. The toddler, obviously not interested in the show at all, continually got up from his seat and began playing on the floor of the theater with a toy car. His mother would allow him to crawl around in front of the stage for a couple minutes, before racing forward to retrieve him and return to her seat. They repeated this act many, many times as the show progressed. This would have been distracting enough in a normal show, but in the Carousel of Progress, running around the theater can be dangerous. The entire seating area rotates between show scenes, and giant walls and moving parts do not move out of the way for unaware children. Since the child was so small, he most likely wasn’t visible to security cameras, so cast members could not see that intervention was needed. That is, until the child became especially restless and chucked his toy car on to the stage, barely missing one of the animatronic figures. Probably wanting to take another shot, the toddler tried to crawl onto the stage to retrieve his car. Thankfully his mother grabbed him in time, only for his older brother to run to the stage and start climbing while the entire theater was rotating! This triggered an emergency stop of the attraction, causing Nicole to miss most of the final scene. Disgruntled, we exited the Carousel hoping to see a cast member confronting the family. Unfortunately, they realized how much disruption they had caused and quickly disappeared into the crowd, hopefully never to be seen again by us. As for the toy car, I’m hoping it’s making some cast member’s child happy. At least it escaped from that family.